Are there any handicap accessible condos at the Pelican Beach Resort? The answer is yes and no. 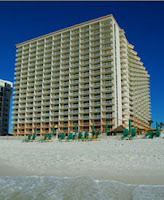 Today I got an inquiry regarding handicap accessible condos at the Destin Pelican Beach Resort. The answer depends on what you mean by handicap accessible! If you are looking for a wheel chair accessible unit then there are none in the building on the beach and one in the Terrace(building just inside the resort but not on the beach). However, there are several one bedroom and two bedroom units with handrails and handicap accessible shower in one of the bathrooms located in the main building(on the beach). If you are looking for a handicap accessible unit at the Pelican Beach Resort, just call us at 850-654-1425 and mention booking code A1080 and also what type of handicap accessible unit you are looking for. 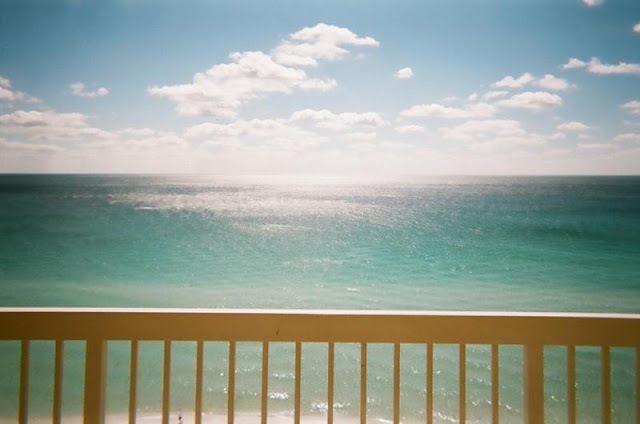 Unit 1004 at the Destin Pelican Beach Resort is booked solid through the end of the month. However, right now the entire month of December is open. On January 1, 2010 - March 14, 2010 a snowbird is booked in unit 1004. Now would be a great time to book a December vacation at the Destin Pelican Beach Resort or even a Christmas vacation at the resort and specifically in unit 1004. My family and I are planning to spend a few days next month at the Destin,Florida resort but are not sure when we will be going. Hurry and get your trip booked and remember to reserve your trip under booking code A1080. I have had a few calls from potential renters of unit 1004 at the Pelican Beach Resort asking me to help them understand the rates. The winter rates are in effect from Nov 1, 2009 - Feb 28, 2010. Here is a link to that rate sheet. The Pelican Beach Resort is also running a special during this same time frame. You purchase a 3 night stay and get one night free. Or, you purchase 5 nights and get nights 6 and 7 free. When you call to book your vacation in Destin,Florida please tell the receptionist you would like to use booking code A1080. At the Destin Pelican Beach Resort there are 3 different floor plans to choose from when renting at the Pelican Beach building(beachfront). There are 20 floors(skipped 13th floor so really 19)) in this building and the corner units all are stack 1 and then the 1 bedroom "Dolphin" units begin with the 2nd stack(beside 2 br dolphin) and go through stack 11. The 2 bedroom (Pelican) begin with stack 12(next to stack 1 (2) br dolphin unit) and go through stack 18. The rates for all of these Pelican Beach Resort units will vary with the 1 br dolphin being the lowest rental priced unit and then the 2 br Pelican and then the corner 2 br dolphin being the highest price. To search for availability click this link then scroll down to the bottom left and choose a specific property name(this is where you enter condo # such as 1004). Be sure to give the booking code A1080 when booking the reservation. Grains of sand are ringing. For those who have been so sweet. Oh, but look, THE OCEAN VIEW! Are just waiting for you in Pelican Beach #1004. Great winter rates at the Pelican Beach Resort await your family this Christmas season. Remember booking code A1080 when you book #1004 or any other Pelican Unit. A couple of weeks ago, we advertised a snowbird special. Most of that time slot for unit 1004 has been booked! Currently the times this condo is available is Nov 7-23 and all of December. A snowbird has booked this Pelican Beach Resort unit beginning January 1st - March 15th. I will return here every few days to update availability. If you are reading this and want a snowbird rental at the Pelican Beach Resort, I can still assist you and save you 5% off the already discounted rate offered by the Pelican Beach Resort click and check on availability and rates and then call or e-mail me so I can grab you that 5% discount.